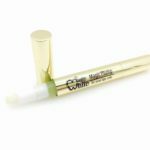 What is natural cosmetic teeth whitening? 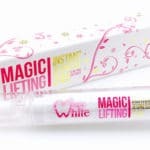 Magic White® develops a foaming technique that cleans the enamel deeply without changing the structure of the tooth. Natural cosmetic lightening acts like a super toothpaste. In this way, the cosmetic care becomes painless and provides an immediate natural whiteness, while eliminating impurities and food deposits that stain the teeth making them prematurely yellow. Who is the natural teeth whitening for? To all adults who wish to have whiter teeth, while preserving the quality of their teeth. The session lasts 30 minutes. First, determine the color of the teeth using the color chart to find the starting point. Then with a wipe soaked in anti-stain serum, a pre-cleaning of the teeth is done. A gutter with Coco Magic White® Gel is then presented for you to introduce yourself into your mouth. At the end of the session, you just rinse your mouth with clear water and see the result by comparing the tone of your teeth again with the help of the color chart. Can I restart the session? Yes. If you want more whiteness, you can redo a session of 30 minutes, even 2 sessions of 30 minutes, for an extreme whiteness. How often can I restore natural teeth whitening ? Since the Magic White® gel acts like a super toothpaste, you can do it again as soon as the teeth come out because of a too colorful diet. However, we recommend a maintenance session every 2 months. Avoiding foods that stain, brushing your teeth regularly and regularly maintaining your teeth with our foam.